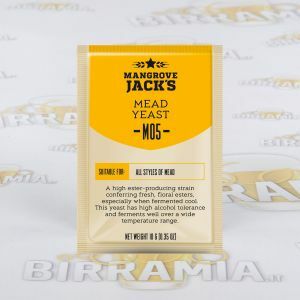 Mangrove Jack's Dry Yeasts for beer. Exclusive for Birramia, a new series of very high quality yeasts: selected after years of research, these yeasts allow to produce all beer-types. 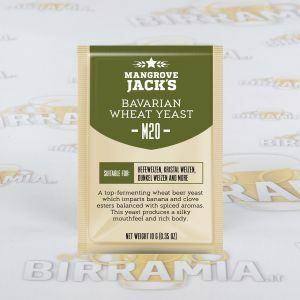 You will find Bavarian Wheat Yeast, which with its palatable banana aromas will let you brew very good weizen. 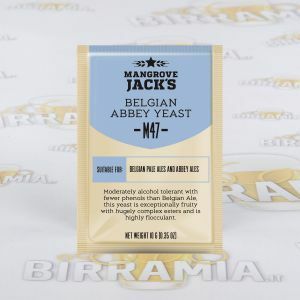 The British Ale, a yeast with a neat flavour suitable for brewing various types of Ale-beers, including double malt beers. 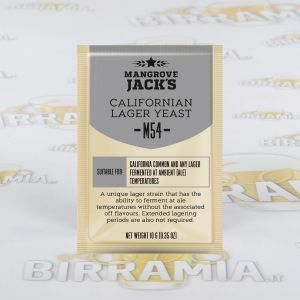 The original Us West Coast Yeast, specific for enhancing the hop aroma in the American beers. The Burton Union, yeast with mild aromas by which you can brew wonderful top-fermented beers. The Bohemian Lager, a traditional bottom-cropping yeast for lager beers and pilsner with excellent performances. The Belgian Ale, specifically created for fermenting Belgian-style beers at slightly higher temperatures, in order to enhance the typical fruity aromas. 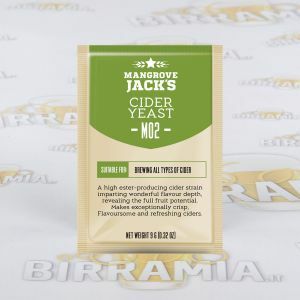 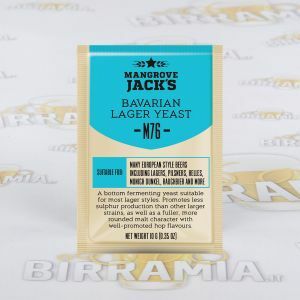 The Newcastle Dark Ale, a yeast for full-bodied stout beers, and finally the Workhorse, extraordinary yeast with numerous possible uses: this yeast, indeed, works from 15°C up to 32°C, thus it can be used both for bottom-fermented beers and for top-fermented beers.